New Jersey winters are harsh. Not only are they cold, but they are also filled with snow. As anyone who has endured a Jersey winter can attest, with the snow and ice comes lots of salt. 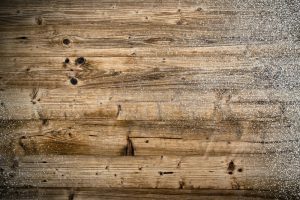 Although the snow and salt are an inevitable part of any winter, those elements can wreak havoc on wood floors. Before the next nasty winter causes your family and friends to traipse through your house, leaving snow and salt everywhere, take some of these precautions to help save your floors from these common winter elements. As the old saying goes, an ounce of prevention is worth a pound of cure. The best way to protect your wood floors from snow and salt is to make sure that they are not exposed to them. One method to accomplish this is by putting down floor mats where people can either wipe their feet until they are dry or take their shoes off and let them sit by the door. You can even put a mat with bristles on the outside so people can wipe off their feet before they come into your house. Another preventative measure is to have old towels ready near the front door. That way, when you find standing water at your entryway, you will not need to seek out something with which to sop it up. Even the most fastidious house cleaner is bound to miss something while tidying up the house. 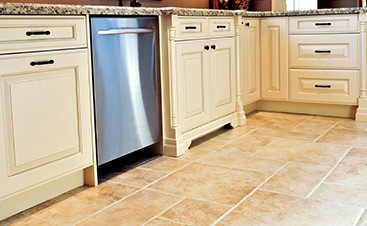 During the winter months, it is essential to be extra vigilant with your floors. Snow and salt that are left to sit on the floor can cause severe damage. Check the areas by all entryways several times a day. Sweep or mop the area at least once a day, even if it does not look like there is an accumulation of anything. Often, specks of snow can go unseen until they dry and cause a water stain. But regularly keeping these areas clean can go a long way to ensuring that your floors are looking showroom new. 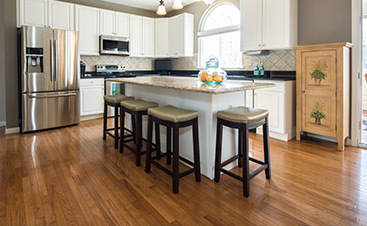 Salt can be more damaging to your wood floors than snow can. Merely sweeping it up can easily cause scratches that you can only remove by sanding them out. So, a better option is to vacuum the salt off of the floor. If you cannot use a vacuum, then use a traditional broom to get the job done. Avoid using “Swiffer”-type sweepers, as the salt can get trapped under the head of the sweeper and cause even more scratching on your floor. Do not be perplexed at how to get those nasty snow and salt stains off of your wood floor without damaging it. A great solution is to make this natural cleaning mixture that is both tough on the stains and gentle on the floor. Having gaps in your wood floor is perfectly natural and not anything to worry about. However, when the winter comes, it is vital to pay close attention to them. In the winter, it is likely that your heat is turned up to a comfortable level. Also, the humidity in the air drops substantially during this season. These two factors make the slats of wood contract a bit, and that is why the gaps appear. Make sure the spaces do not get filled with snow and salt. Leaving those substances there can cause damage that will be impossible to repair once the weather changes and the gaps close. 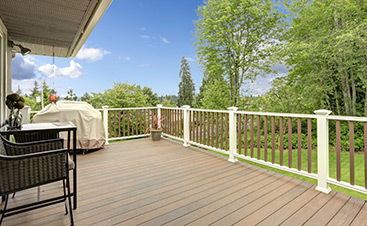 There is no doubt that the harsh New Jersey winter weather includes elements that can easily cause damage to your wood floors. So, protect your investment and the aesthetic of your home by taking preventative measures to keep the damage to a minimum. But, also be prepared to take care of any issues that arise despite your best efforts to keep them at bay. Prevention is best, but quick action can be a lifesaver.